Jen Selander joined the Board at the Center in 2011. She has served as Secretary and is currently in her second year as the Board Chairperson. Jen earned a B.S. in Biochemistry from Stevens Institute of Technology and worked in the pharmaceutical industry in both research and sales for 13 years. Although she is originally from New Mexico, she has lived in the Hudson Valley for 18 years with her husband and two sons. Jen is active in her church, at her kids schools, participates in Relay for Life each year and has also served on the board at the Baptist Home and Community at Brookmeade in Rhinebeck. Volunteering at the Center is one of the most rewarding experiences she has had and is honored to a part of this dynamic organization. Susan Green has been a volunteer at the Center for several years, and has been vice-chair of the board and Fund-Raising Chair for the last two. She previously worked in the Thoroughbred horse industry in Kentucky and Virginia, before giving it up to become a full time mother and manager of her family’s small farm, comprising of horses, donkeys, chickens and dogs and cats. Susan is married to Chris, an attorney in Armonk, and has two daughters, Chloë and Phoebe. She has been very active in their schools, President of the co-operative nursery and chairing numerous committees. Susan also previously served on the board of the Children’s Aid Society in Manhattan. A longtime business leader and visionary operations executive, Gloria Cukar is Senior Director, External Affairs at MidHudson Regional Hospital. As a member of the hospital’s executive team, Cukar helps foster partnerships between MidHudson Regional and the Hudson Valley community.She previously worked as Senior Vice President and Chief Operating Office of the Dutchess County Regional Chamber of Commerce, where she helped guide the 2010/2011 consolidation of the Dutchess and Greater Southern Dutchess Chambers.Prior to her time there, Cukar owned and operated a trio of area businesses: Forever Memories Florist in Poughquag, I.C. Construction Co., Inc. in Red Hook, and the Beverly Farm Resort in the Catskill Mountains.A resident of Poughkeepsie, Cukar currently serves on the Center for the Prevention of Child Abuse Executive Board, Half Moon Theatre Board, the WLA Executive Committee, American Cancer Society of the Hudson Valley Region Board, and she is a member of the Exchange Club of Southern Dutchess. Eben Yager is entering ninth season as General Manager of the Hudson Valley Renegades and his second as President of the Pittsfield Suns. Under Eben’s leadership, the Renegades received the 2015 Dutchess County Regional Chamber of Commerce Community Spirit Award, and have donated over $400,000 toward community programs throughout the Hudson Valley. 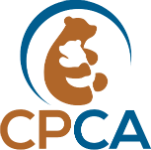 Prior to joining the CPCA board, Eben has served as chairman on numerous boards including the American Red Cross of the Mid-Hudson Valley, the Hudson Valley Boy Scouts Dutchess District, and the New York Blood Center’s Little Doctor’s Program, as well as serving on numerous other boards in the region.